Shoreline Cottages has interviewed a number of these ‘Whitby folk’ to find out why they love the town so much and how they think it’s changed. 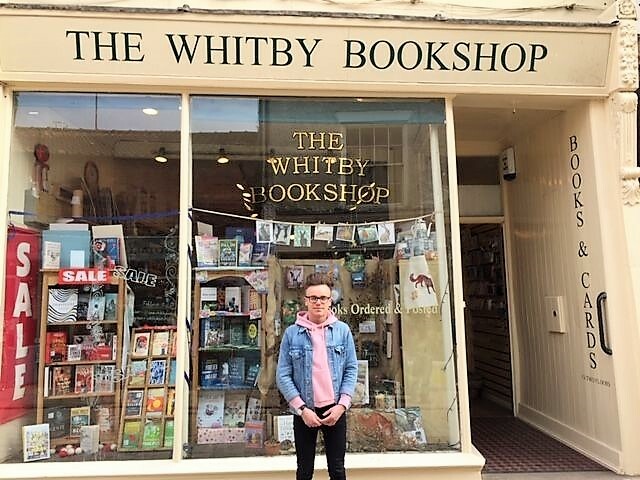 Today we meet William Drake, a bookseller at The Whitby Bookshop an independent, quirky and historic shop on Church Street…. 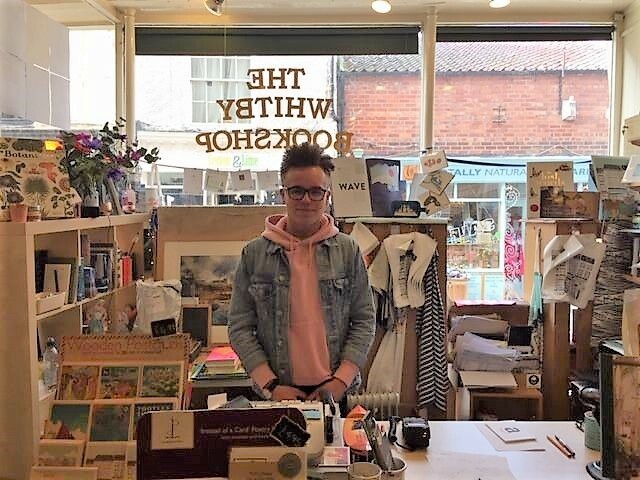 I’m a bookseller here so my job is to sell books, deal with stock and sort out displays in the shop. We sell books that cover all areas of interest and we can order books in for people if they wish. We also sell cards and gifts. The best thing about the job is the people I work with. I’m not sure how old the building is but there is an original showcase in this shop and the building has many original features. No, I haven’t. 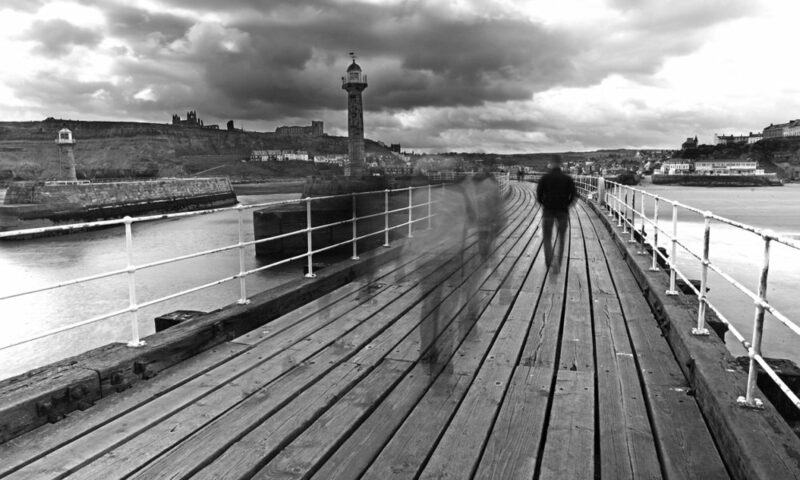 My parents used to come to Whitby a lot when they had a holiday home in Sandsend. The liked it so much they ended up moving here. I love living by the beach and the heritage of the town. I like how quaint and small Whitby is. I like Whitby for what it is. If the town changed too much it would spoil it. It can feel quite isolated here. We have to drive a long way to get the the nearest city – York is over an hours drive away. It’s got a lot busier with a lot more people. New businesses and shops have opened and lots of old business have shut down. I enjoy going to the gym, walking and meeting up with my friends. Yes, I think I will leave at some point. I want to travel. I’m going to America this summer to do Camp America. In the future, I’d like to work in the airline industry – perhaps get a job as cabin crew.